Pharmaceuticals and personal care products (PPCPs) constitute an integral part of modern healthcare systems which enter the environment through various routes. Because of their inherent biological activity, their presence in soil and the aquatic environment poses several eco-toxicological problems. Antibiotic contamination of soil and water bodies is leading to the development of microbial resistance to antibiotics and this has been recognized by several global bodies like WHO and EPA. Effective steps need to be taken in this regard including increased awareness, reduced pharmaceutical discharges in environment, green and sustainable pharmaceutical practice by pharmaceutical industry and healthcare professionals and improved remediation/bioremediation methods. This chapter outlines the various anticipated routes of exposure of pharmaceuticals to the environment along with their detrimental effects, fate and degradation in aquatic and terrestrial environments. The chapter also dwells upon the role of various regulatory bodies and plausible measures that may be adopted to alleviate the problem. Several of these PPCPs are known to be incompletely removed by wastewater treatment process systems and finally enter rivers, streams, lakes or landfills. Possible harmful contribution of pharmaceuticals towards environmental populations remained a non-existent topic for a long time till early 90s when studies conducted in this area provided an insight that production of pharmaceuticals resulted in the generation of 50-100 times of pharmaceutical and solvent waste (Sheldon, 2007). Various studies suggested that measures are needed to be taken by the pharmaceutical industry to reduce environmental pollution and to introduce greener approaches towards generation. Pharmaceutical pollution is a dynamic entity because life expectancy has been progressively increasing over the years, so the consumption of pharmaceuticals, especially by the elderly population, will also proportionately increase resulting in an increase in pharmaceutical pollution of the environment. Hence, dynamics of the problem needs to be considered for true assessment of the problem. Research in this area has considerably evolved over this decade, beginning with detection and analysis of these micro-pollutants to evaluation of toxicity aspects of pharmaceuticals and presently, risk assessment and risk management issues are being targeted. 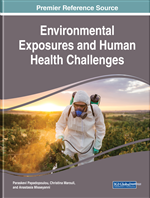 This book chapter highlights the environmental risks associated with the regular use of pharmaceuticals, their ubiquitous contamination of environment and the role of regulatory agencies in preventing health hazards associated with their environmental exposure. A brief overview of the current status and risks involved are discussed along with the methods and approaches to ameliorate the situation. For greater details, the reader is advised to consult the more specific texts and reviews (e.g., Kummerer, 2009a, 2009b). Global Warming Potential: GWP is a measure of how much heat a greenhouse chemical or gas traps within the atmosphere up to a specific time horizon (commonly, 20, 1000 or 500 years), with respect to carbon dioxide. The GWP value of carbon dioxide is taken as unity. Chemotherapy Agents: Technically, the term refers to therapeutic chemical treatment originally used as anti-infective term (for mercury and arsenic which were used before antibiotics were discovered) but most commonly, it is used for drugs or drug combinations used for treatment of cancer. LD50 Value: Oral lethal dose of a compound, i.e., the amount of compound which is lethal in 50% of the population. Lower the LD 50 value more lethal is the compound. EOCs: Emerging organic contaminants including pharmaceuticals, personal care products, 'life-style' compounds, etc. PPCPs: Pharmaceuticals and personal care products. NSAIDs: Non-steroidal anti-inflammatory drugs, one of the most frequently prescribed drug classes in inflammatory disorders and pain management. Superbugs: Antibiotic-resistant strains formed by mutation of wild or normal strains as a result of excessive exposure to antibiotics. Endocrine Disruptors: Are the chemicals that interfere with the functioning of various endocrine glands (e.g., thyroid, adrenal, and reproductive glands) and their hormones at extremely low concentrations, such as parts per billion (or even parts per trillion). These potent chemicals mimic/block a hormone, or in some other way enhance or disrupt normal hormone activity. Hypercholesterolemia: Elevated cholesterol levels in the body.